TechnoVerde was approached to help develop an entirely new brand for a farmer-coop in the Emerald Triangle. We identified their local roots, organic philosophies, and refined style which helped us choose a uniquely rustic, minimalist, and sharp aesthetic for the brand "Madrone". We developed an Essential Corporate Identity Package (logo, printed materials, website) as well as product packaging for flower. Technoverde photographed every cannabis flower offered by Madrone. Next, we developed a stylish formula for displaying way Madrone flowers digitally. 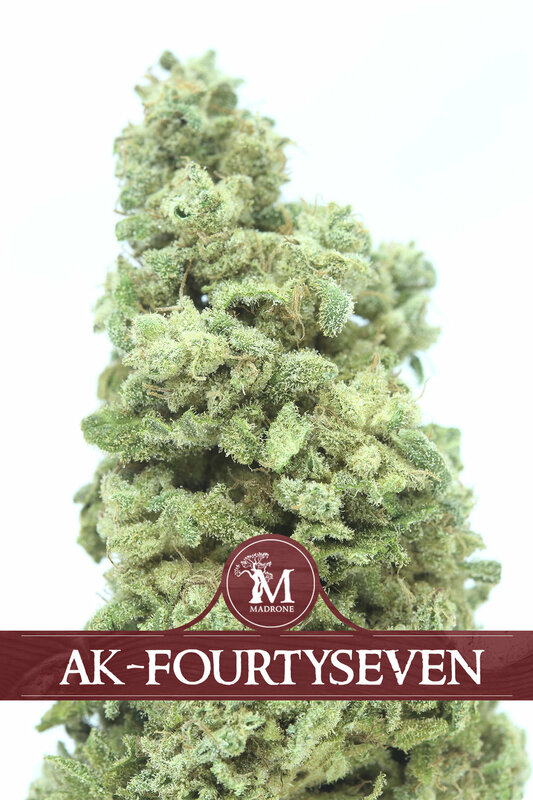 These graphics are used on the website, on social media, and shared with dispensaries as polished product shots. We also traveled up to coastal Mendocino to shoot the plants in their unique environment. This photography is featured on the website and as textures in graphic materials like advertisements and company literature. Madrone cultivates exquisite cannabis flowers - and Technoverde needed to identify a package design that not only played a functional role, but also helped convey eco-consciousness and the overall culture of Mendocino to California patients. The final design first pursued single gram units since we felt the market appreciated the convenience and lack of financial commitment. 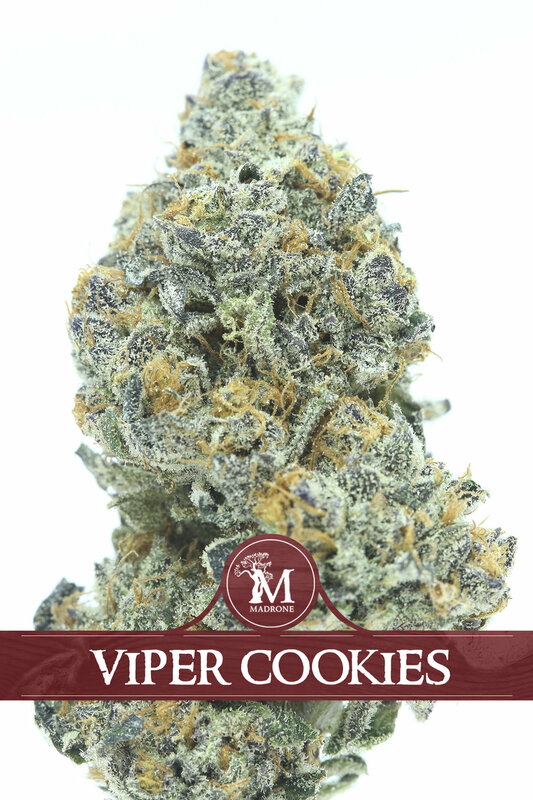 We also developed a "Madrone Flight" concept which offered bay-area patients four different grams in their Madrone vial as a single eighth. accentuates the vibrance and value of a glass jar with the familiar texture of cork. All of this is set off by a madrone-red sticker that displays the brand, the strain title, as well as the essential chemical details about the strain (top two cannabinoids and top four terpenes found on the lab report). TechnoVerde connected Madrone with Vapir Vaporizers to organize a first-of-its-kind tasting party - featuring the exceptional Madrone cannabis flowers. This was a great opportunity to educate local writers and bloggers about cannabis in a new light: one akin to fine wine or aged bourbon. When Technoverde connected with friends from O.Pen Vape during the Golden Tarp Awards in Garberville, CA - we developed the idea of featuring a specific strain from one unique farm and pushing it to market as a co-branded product. Three months later, O.Pen Vape launched the Farmer's Choice cartridge at the 2015 Emerald Cup in December where Madrone had the opportunity to reach a new sector of the market - the vape cartridge enthusiast. Both companies benefitted from an exceptional symbiosis - which helped the corporate side of cannabis collaborate with the farmers of the emerald triangle.